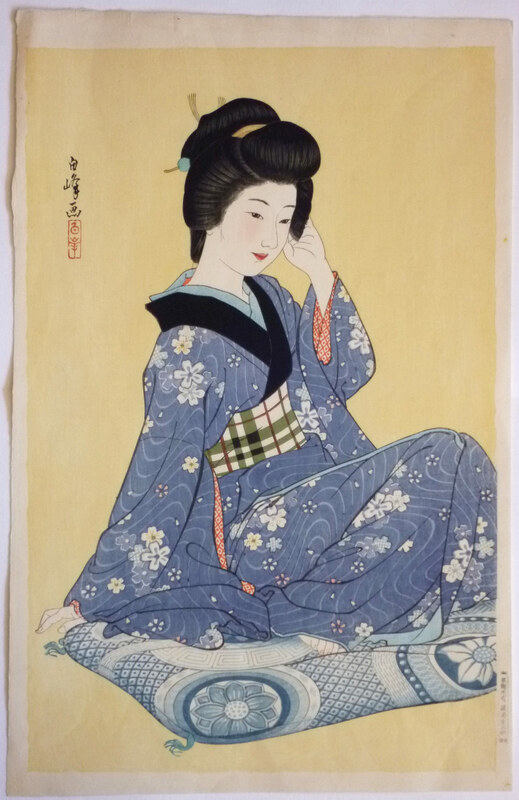 Wakai onna, Young Girl, published by Watanabe Shozaburo, c. 1936. Illustrated in The Female Image, Abe Publishing Ltd., 2000, no. 211, p. 154. Fine impression and colour. Minor crease bottom right corner, otherwise very good condition. Signed Hakuho ga.
After a bath. 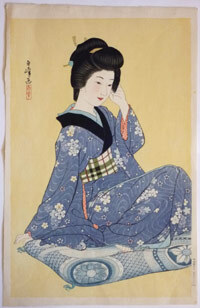 See The female image, no.210, p.153. Published by Watanabe (his seal lower left) Showa 7 (1932). Limited edition seal au verso no.9 from 100. Perfect impression, colour and condition. Signed Showa schichinen ichigetsu Hakuho ga with seal. 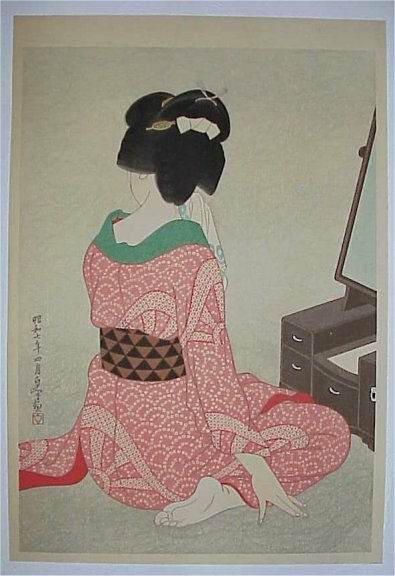 Woman before a mirror. See The female image, no.209, p.153. Published by Watanabe Showa 7 (1932).